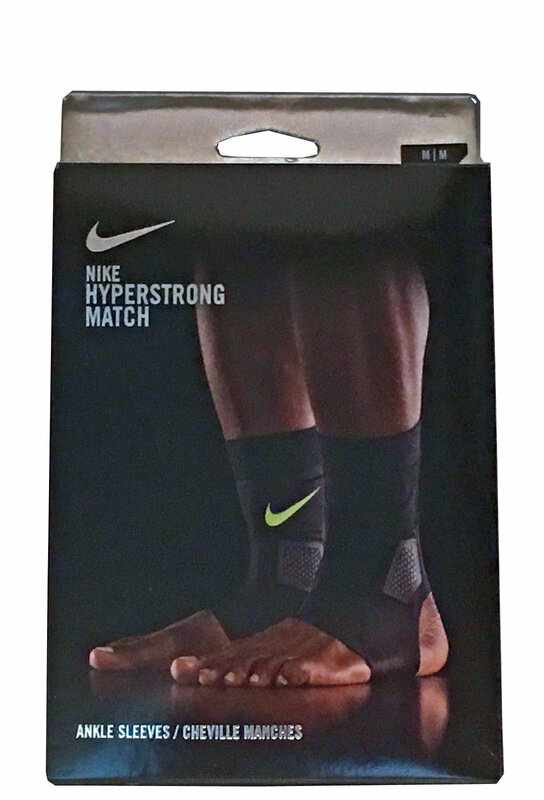 Nike Hyperstrong Match Ankle Sleeves feature ultra-durable ceramic pads that are strategically placed to envelop your ankle bone for enhanced cushioning, while the slip-on style allows for easy on and off. Anatomically correct, slip-on style for optimal comfort. Enhanced ceramic coverage around the ankle helps cushion impact. Soft fabric with spandex for a snug, secure fit.